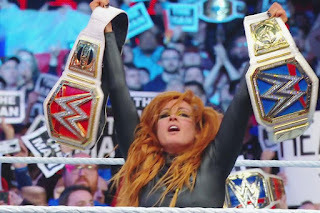 The first ever all-female main event in WWE's history, titled Winner Takes All match at WrestleMania 35 won by Becky Lynch. Becky Lynch became the champion of both the Raw and Smackdown. This actually means she's now the champion of both the Raw and Smackdown after beating defending title holders Ronda Rousey and Charlotte Flair. 32-year-old tweeted before her win: "Today is the day when you and me change how this business works." WWE's biggest show of the year has been described as a game-changer.